Across Seconds | OK Listen! 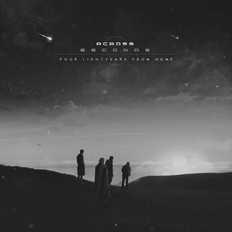 Across Seconds is a 4 piece experimental/post-prog instrumental rock band based in Mumbai. Fairly known for fusing heart warming melodies along with odd time signatures with poly-rhythms. As being an instrumental band is itself a task, multiple variations and unexpected changes are seen in the song.